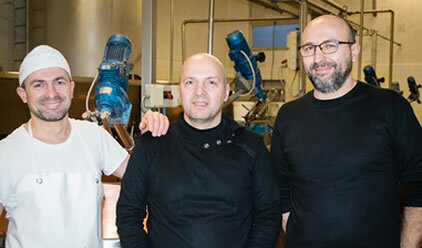 Turning into a narrow lane in Gottolengo, Brescia, we reach the Caseificio Tomasoni dairy, now in its 201st year of life. Massimo tells us the story of his dairy. 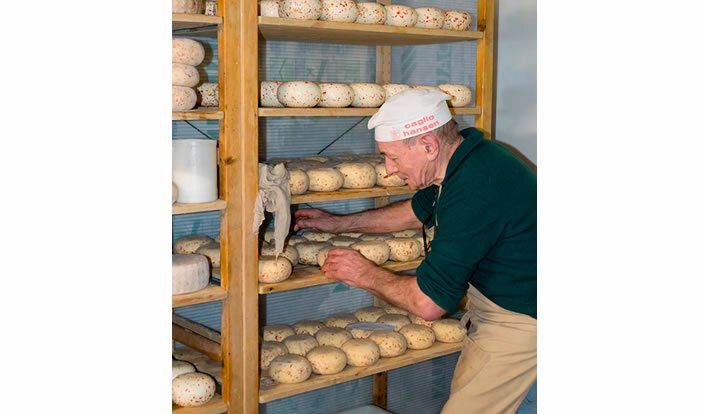 Today he is carrying on the business with his whole family: his mother and father, and his brothers Alberto and Stefano, the latter of whom is the cheesemaker. 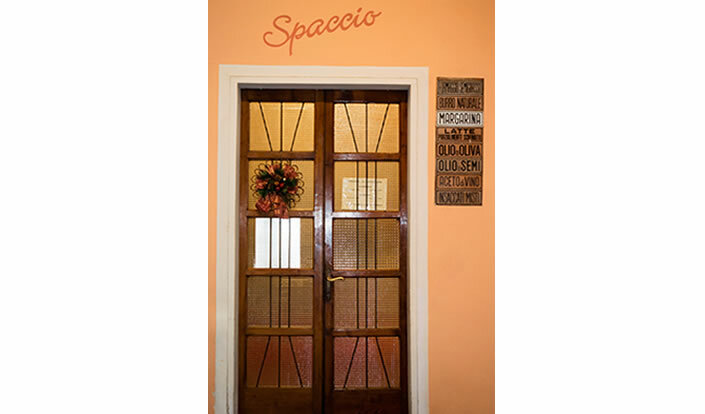 Their small dairy has been producing Grana Padano since the fifties, at the rate of about four wheels per day. 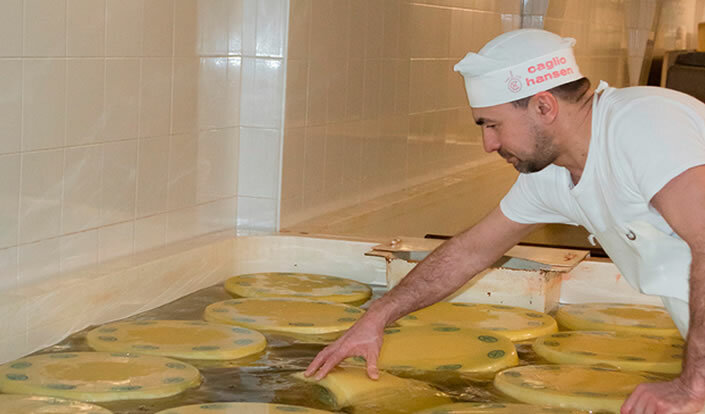 In addition to the Grana Padano brand, they decided to go down the organic route and applied for further certification status from the certifying body, ICEA Lombardia. 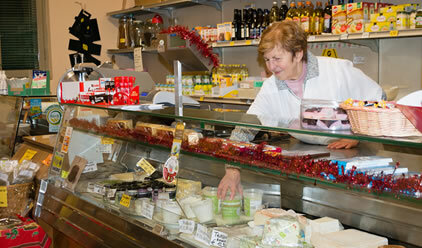 The products they make are: Grana Padano, as well as robiola, crescenza, mozzarella, yoghurt and ricotta. These are sold directly to customers at the dairy shop, skilfully run by Massimo’s mum, but most go to community buying groups mainly based in the Milan area. They started out with just a few groups but then their reputation spread just by word of mouth and the circle has widened. They frequently organize tours of the dairy for their customers because they are keen to show how their cheese is made. They are proud of their work and hope it will live on and stay the way it is for many years to come. Here we can still see the “pans” where the cream rises to the top, and the vats in which the wheels are placed in a brine bath. 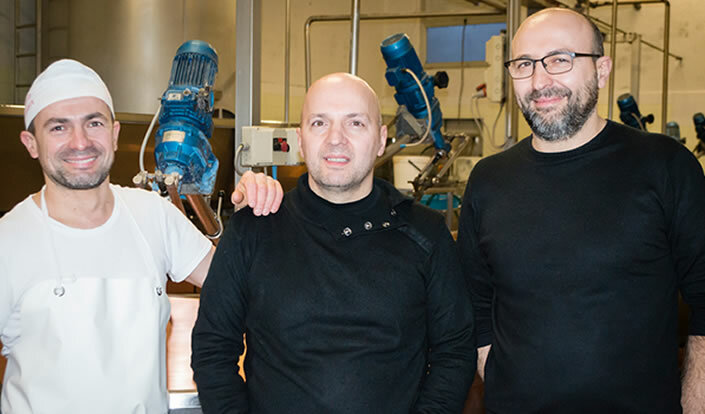 Our thanks to the Tomasoni family for their time and the passion they’ve shown us!